Published by Joshua Clare-Flagg on 26 May, 2016. 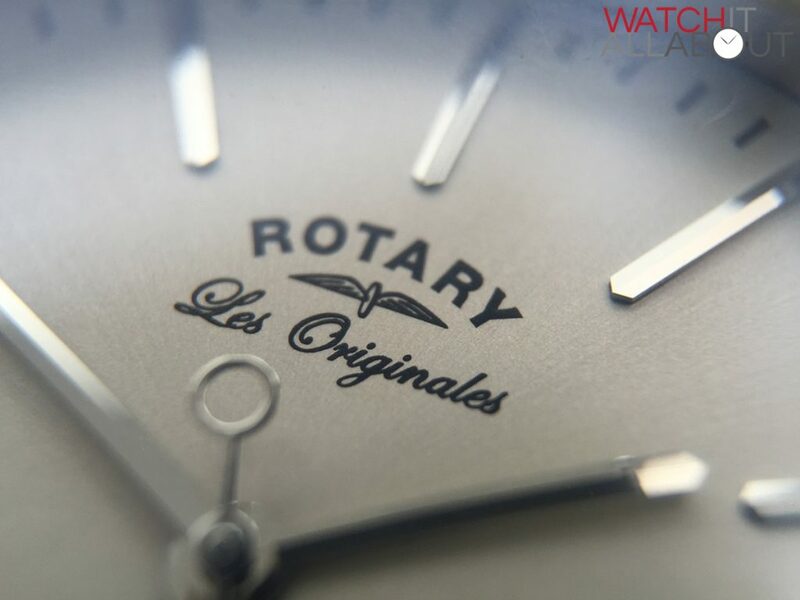 Here we have another model from Rotary’s Les Originales range, which is their premium Swiss Made line. 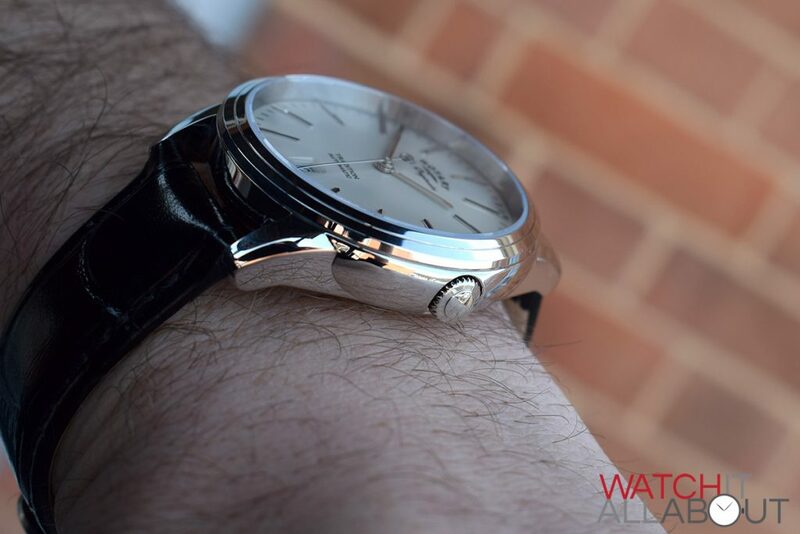 I reviewed the Greenwich here which is in the same family. This is known as the Tradition, and can be had for £495 direct from Rotary. 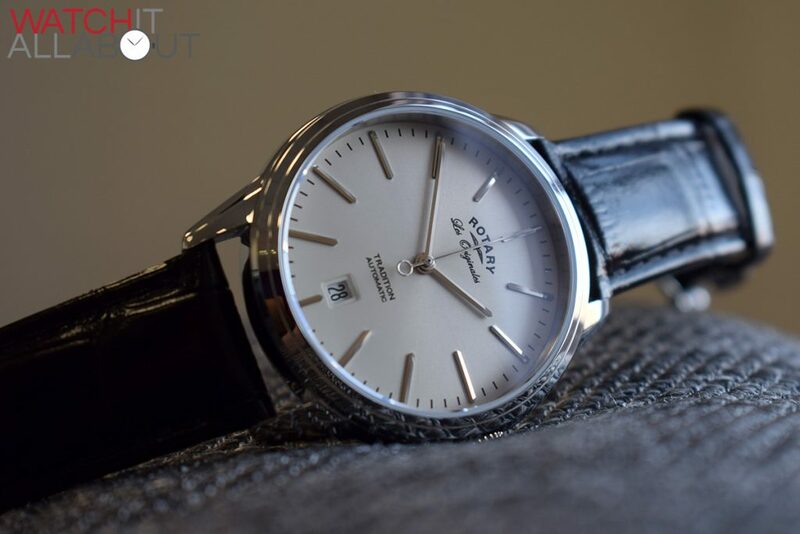 Of course, that is a fair amount of money, but for a Swiss Made automatic with original design it’s actually pretty much on point. 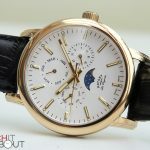 So let’s take a look at whether this is a good alternative to the countless other dress watches in this price range. 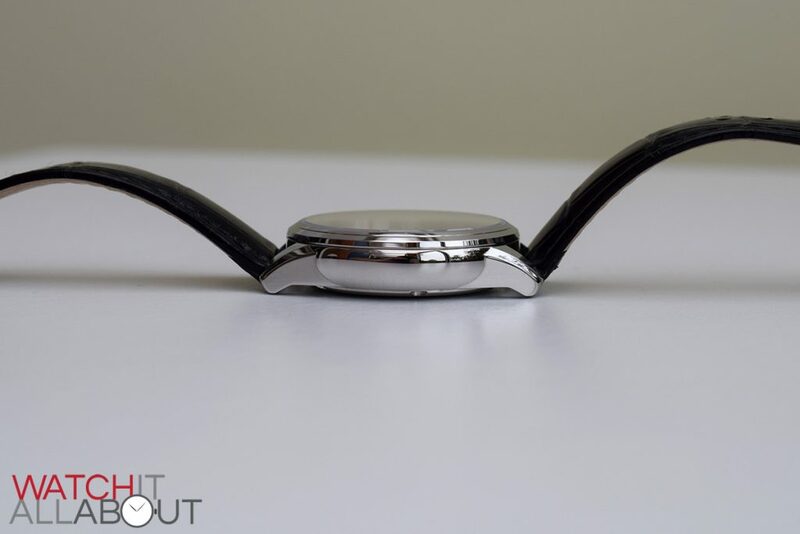 The case is very fluid in design, with flowing lines and a bulbous appearance. 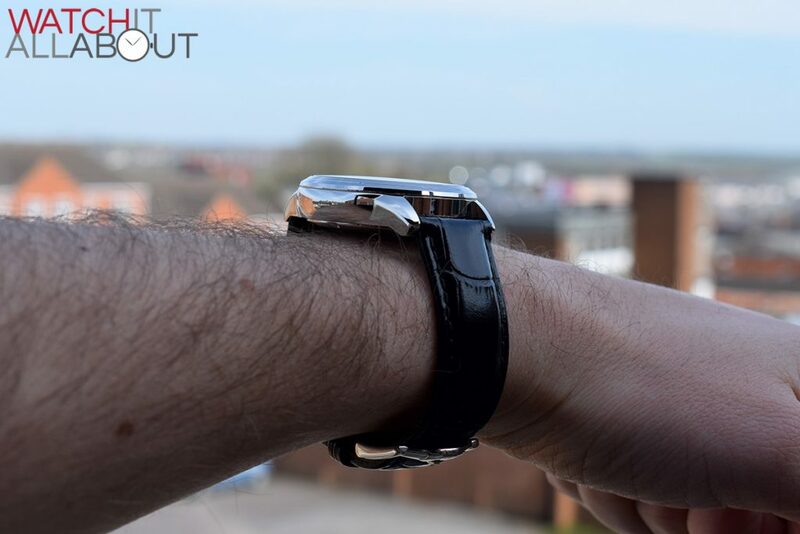 The size is slightly on the larger size for a classic / smart watch at 41.5mm in diameter, but because of the base is thinner than the top of the case, it doesn’t feel too large on the wrist. 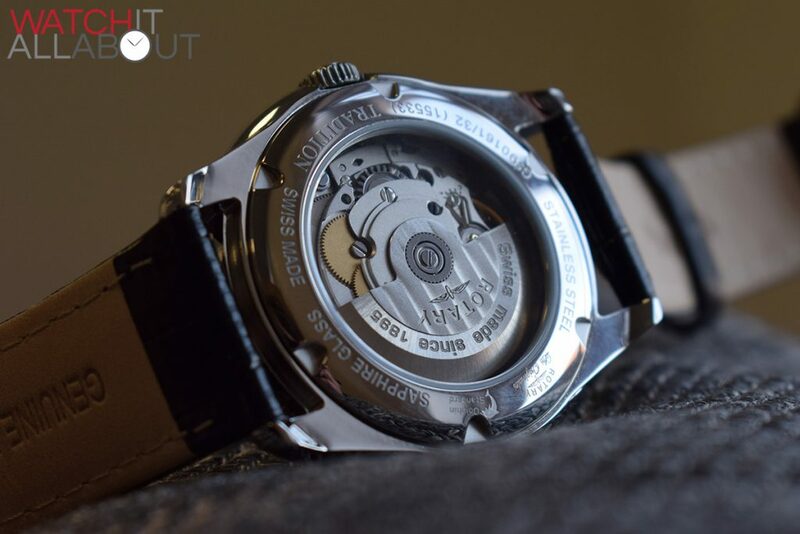 The case is fully polished, and all the finishing and machining is flawless as you’d expect. 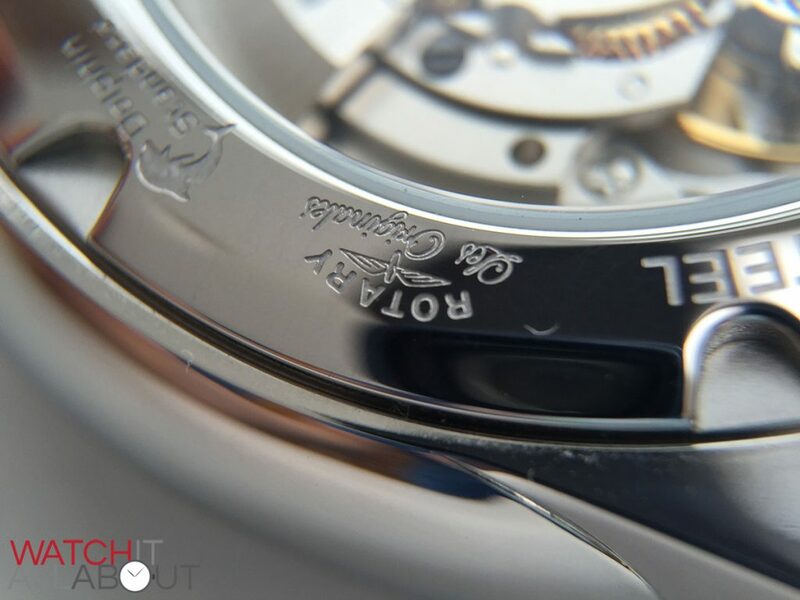 The key feature Rotary stress about the Tradition is the hidden crown. 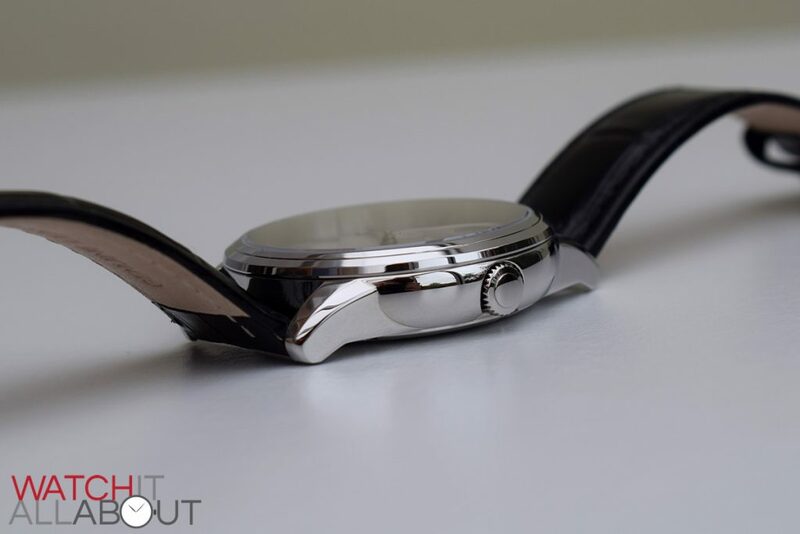 It’s definitely a nice touch, and merges in with the side of the case inconspicuously. It’s a shame that it’s unsigned, but that would stop it from being so concealed. 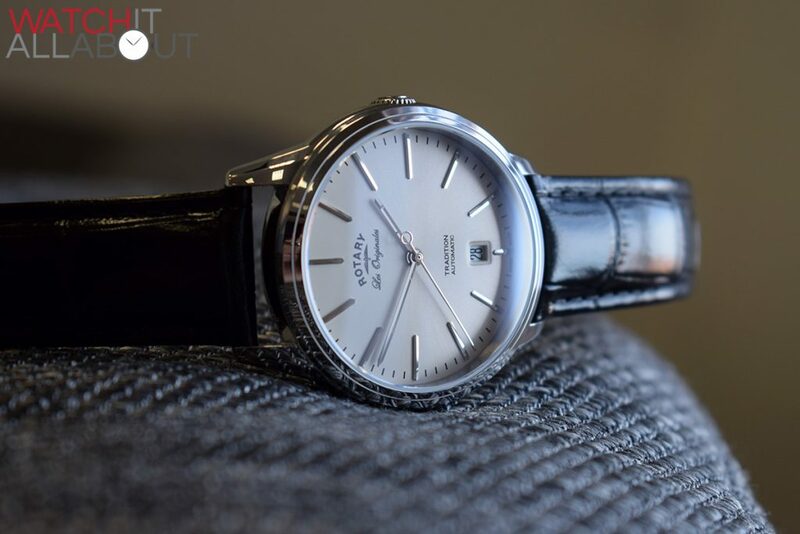 One thing is worth noting though: because the crown is sunken into the case so much, it makes pulling it out to set the time a bit of a nightmare. 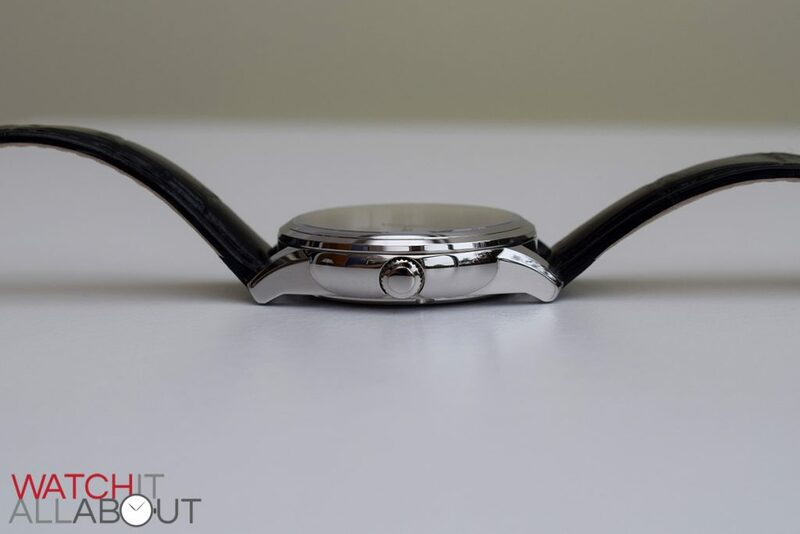 And hand winding the movement is pretty much impossible. 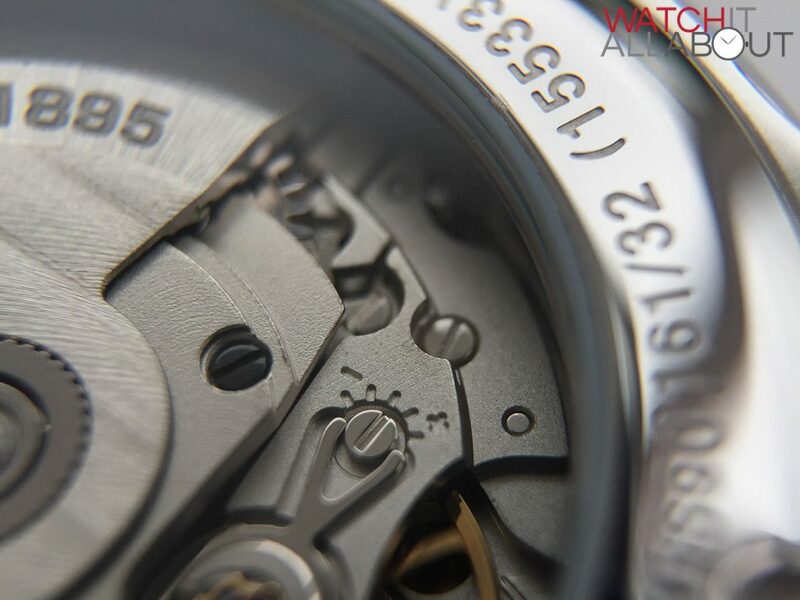 The screw-in caseback has the exhibition window as its key component, with all the details of the watch deeply engraved surrounding it. 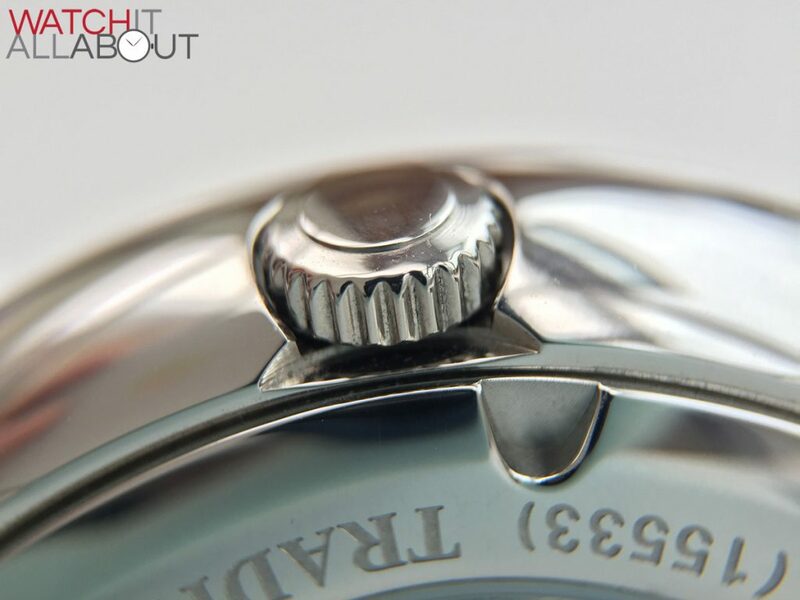 The crystal is sapphire, and covers the movement in it’s entirety so you get a great view of it. 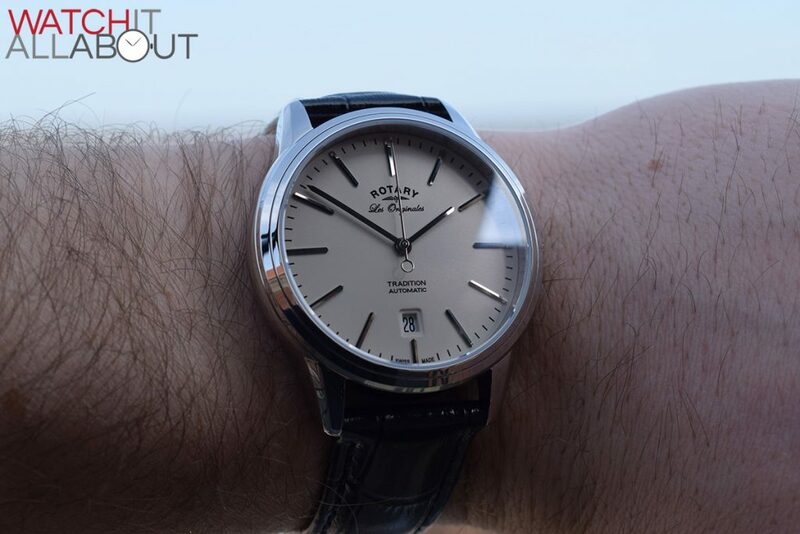 The dial is a pleasant champagne colour with a sunburst effect which has a texture that explodes outwards from the centre. 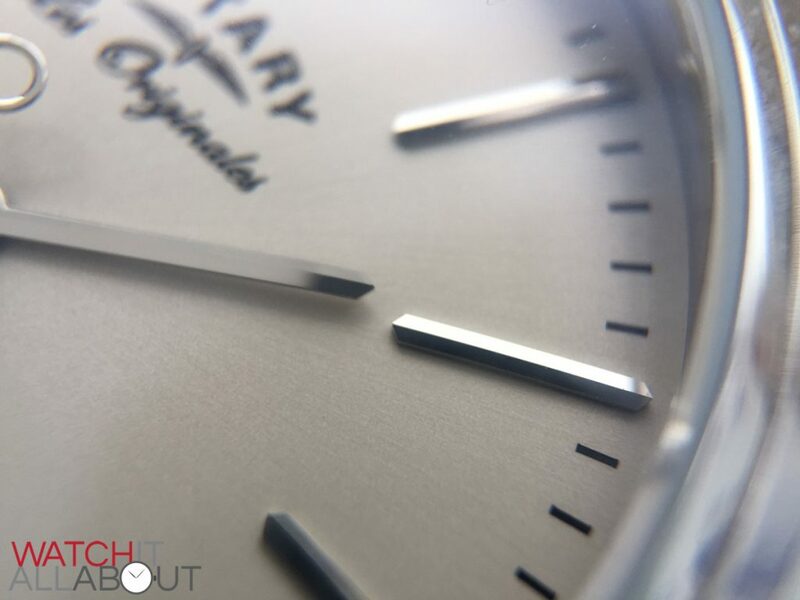 This reflects the light really well, and when you take into consideration the polished pitched hands and applied hour markers it genuinely catches your eye. The hands are all very simple, being straight batons with a small pointed tip. They’re pitched, so produce two different shades of reflection. 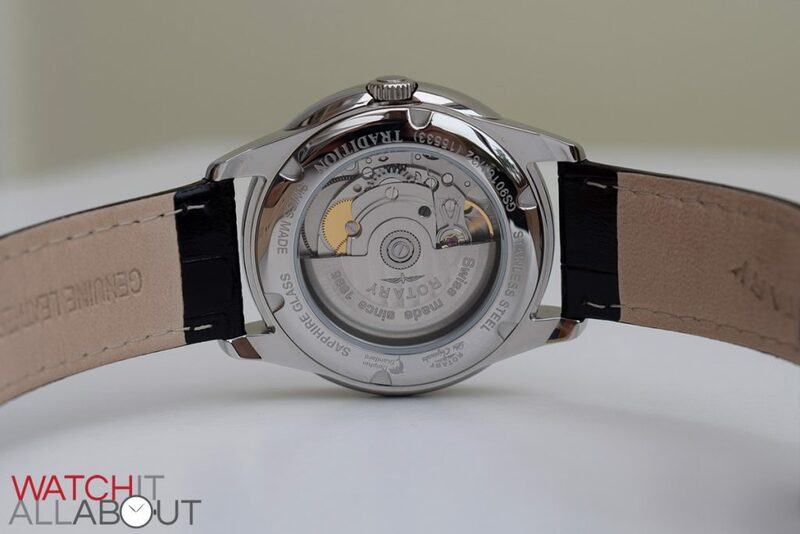 The second hand is very slightly different, having the addition of a neat little hollow disc as a counterweight. They’re all very well made. 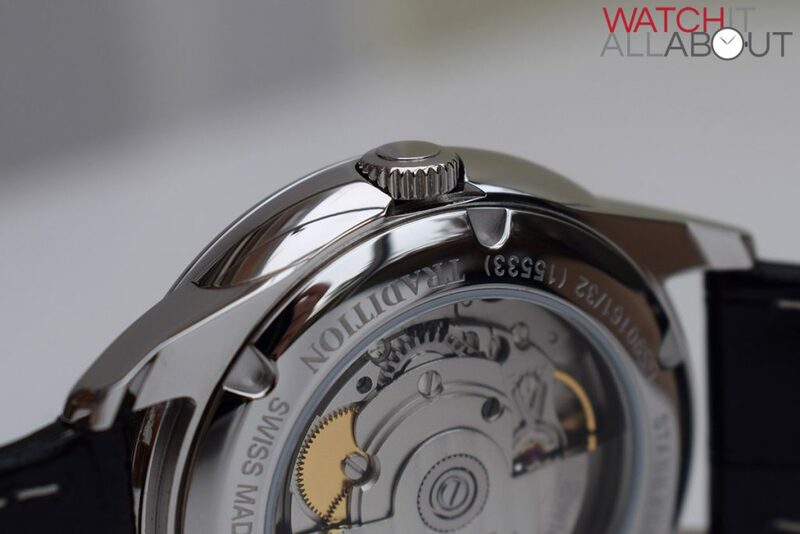 The applied hour markers are a similar design to the hands – pitched with a small point at either end. They’re all very well made and applied. 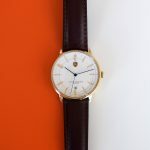 The printing is reasonably minimal – with the logo in the top half, “Tradition” and “Automatic” in the bottom half, Swiss Made at the foot of the dial and a minute track. It’s all crisp and delicate, especially the logo considering the complexity of it. I like to see a date window located at 6, because I tend to find it makes the dials more symmetrical. The border around it is tidy, being inset at a lower level. 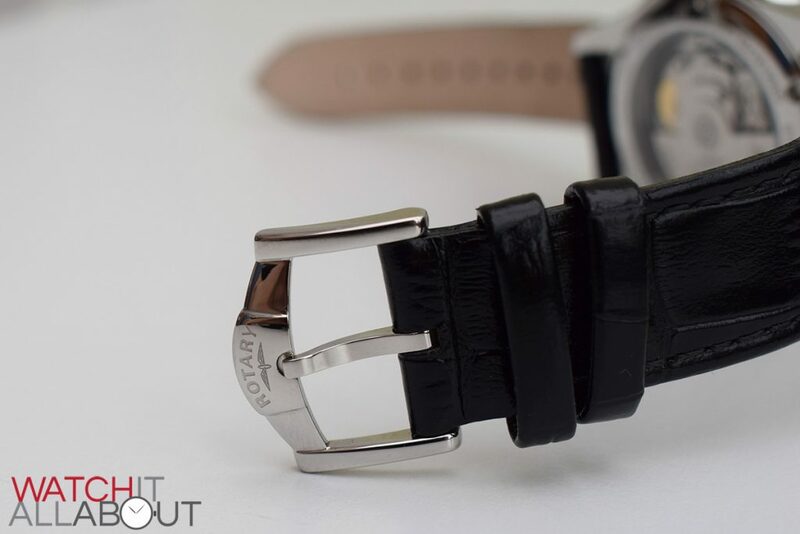 The leather strap is 20mm wide at the lugs, reducing to 18mm at the buckle. 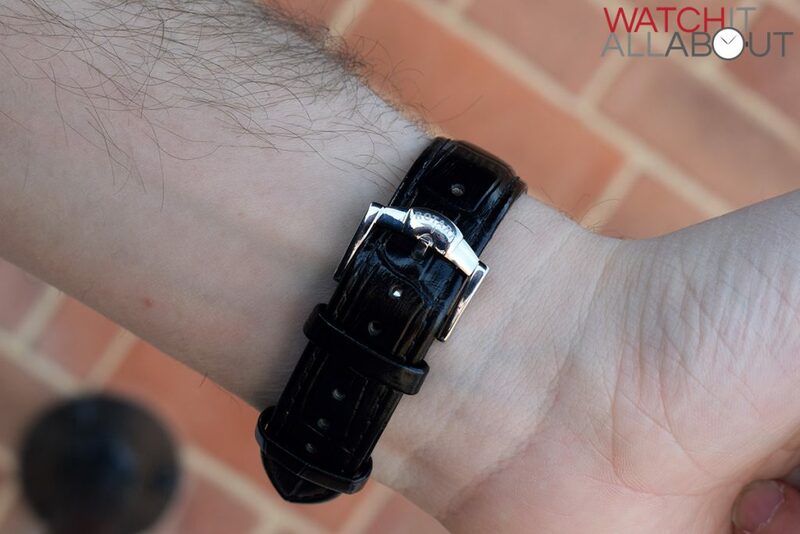 It’s labelled as alligator leather on the website, but I’m pretty sure it’s not actual alligator leather – but rather it just has an embossed alligator pattern stamped on. 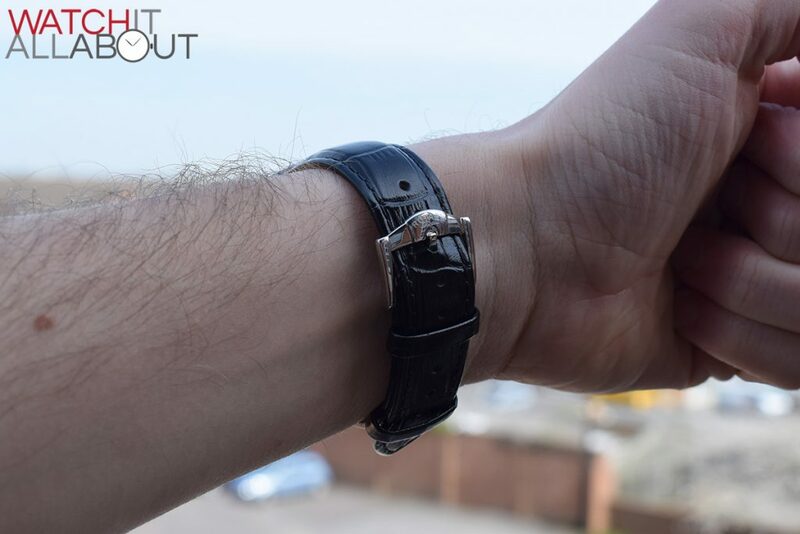 It’s patent leather, so it has a shiny finish to it – something I’m not too keen on but I can live with it. 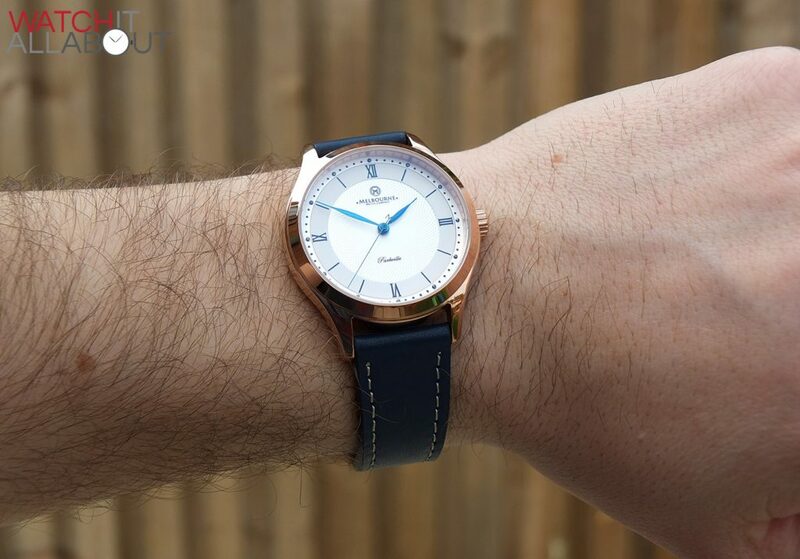 It’s good quality as you’d expect for a watch costing almost £500, and is very soft and comfortable on the wrist. 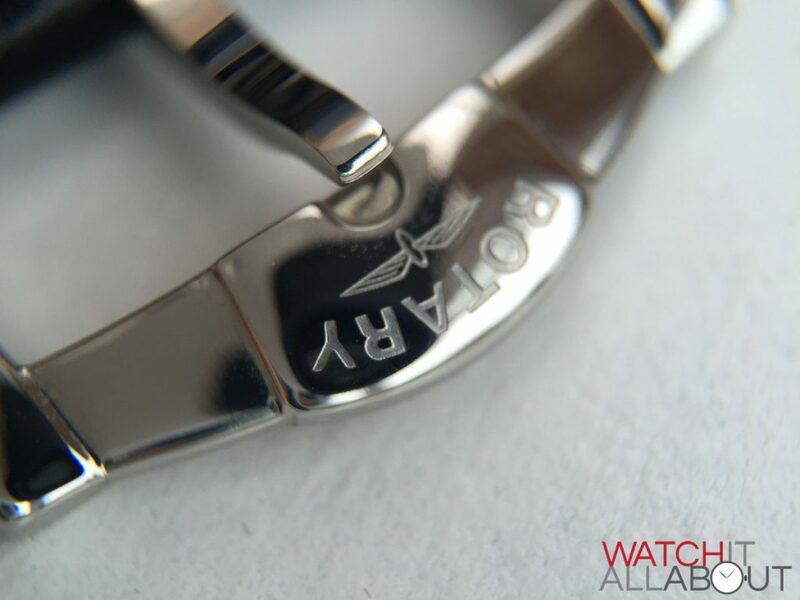 The tang buckle is of a pretty cool design – with a central bulge on a higher level housing the Rotary winged wheel logo that’s deeply engraved. 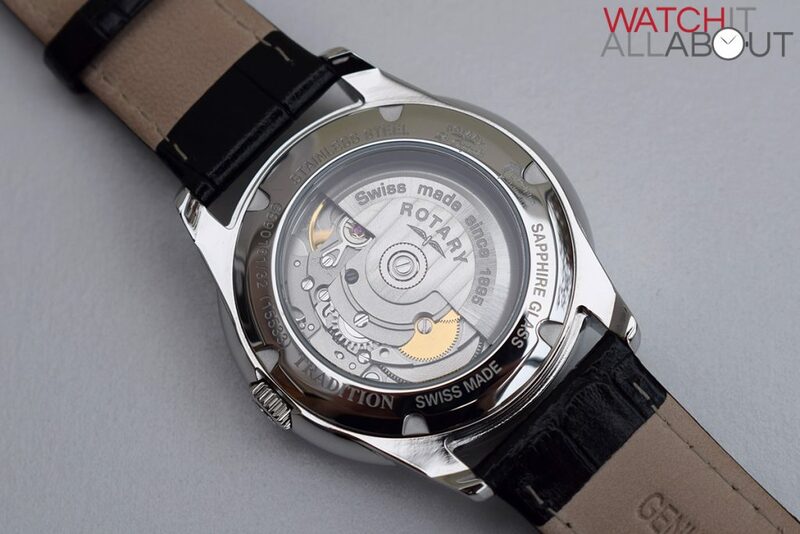 The movement in the Rotary Tradition is the excellent Sellita SW200. This is basically an exact replica of the revered ETA 2824-2, with the same specs, except it has an extra jewel below the ratchet wheel. 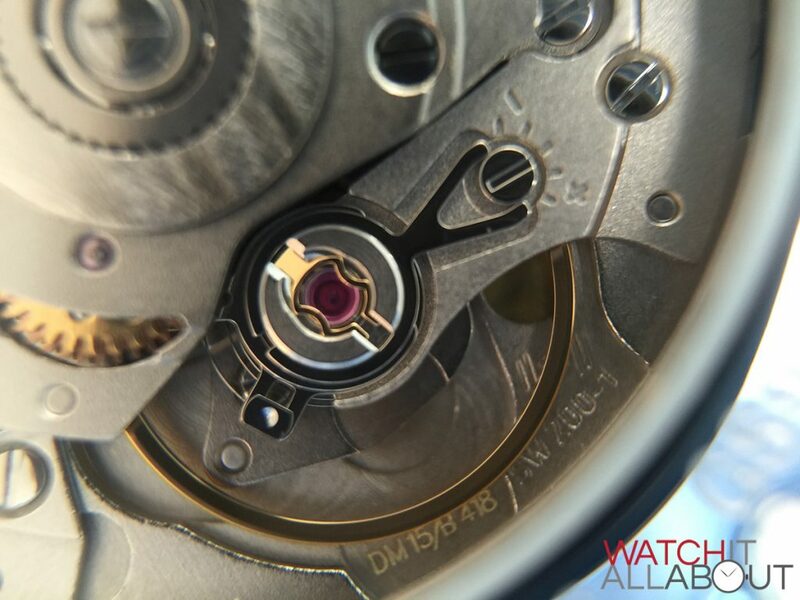 This automatic movement has been used by the like of Christopher Ward, Oris, and is the base movement for Tag Heuer’s Calibre 5. Sellita did some outsourcing for ETA in the past, and they use newer tooling and machines so many believe they’re better movements because of this. 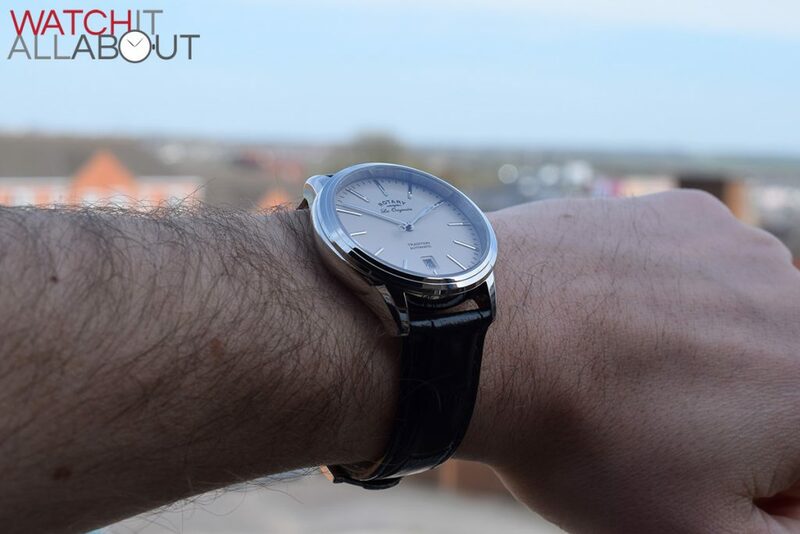 I’ve reviewed a number of watches with this movement in, and they’ve all been top notch. 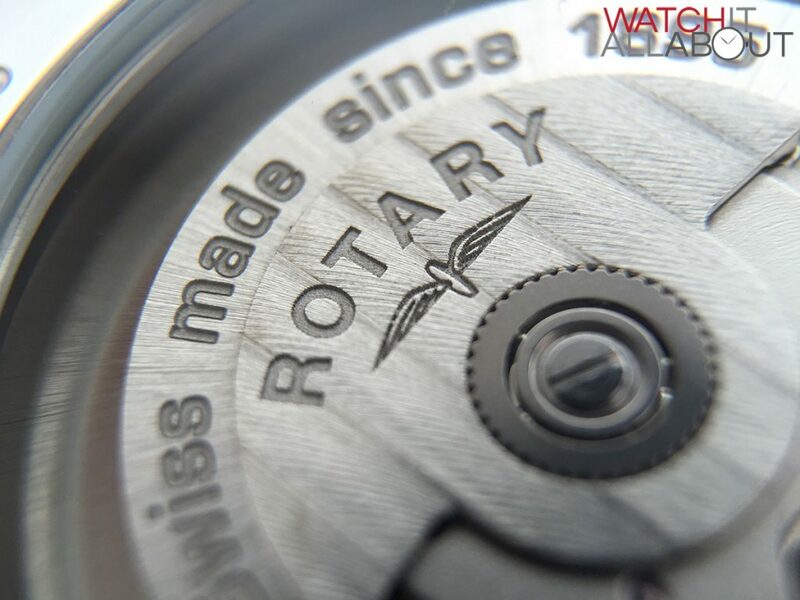 The custom engraved rotor is a really nice touch. 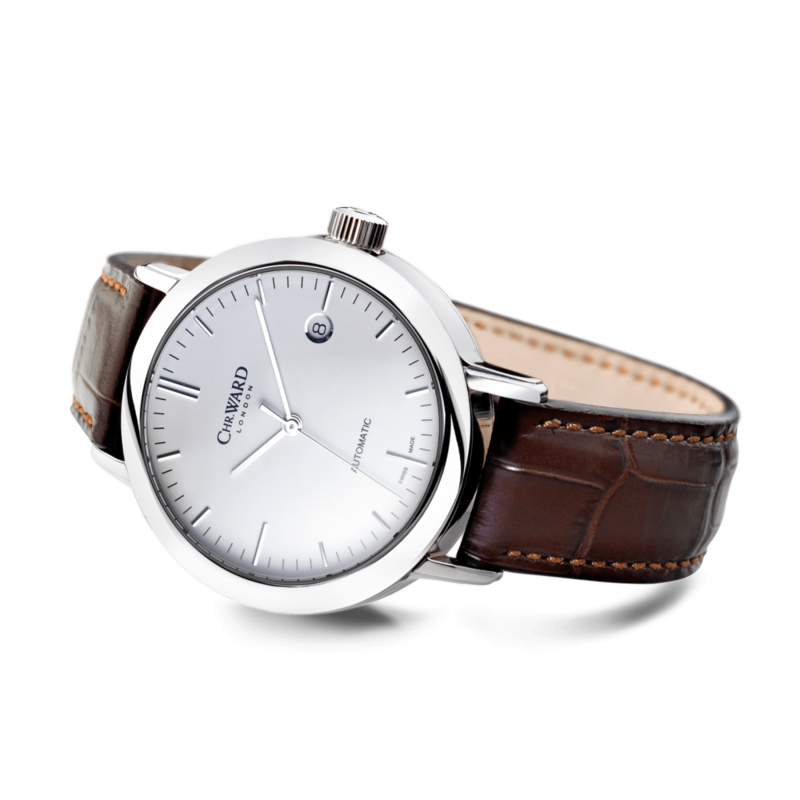 The most like-for-like alternative is the Christopher Ward C5 Malvern mkII – it’s extremely similar in all respects, bar the price which is a bit cheaper at £399. 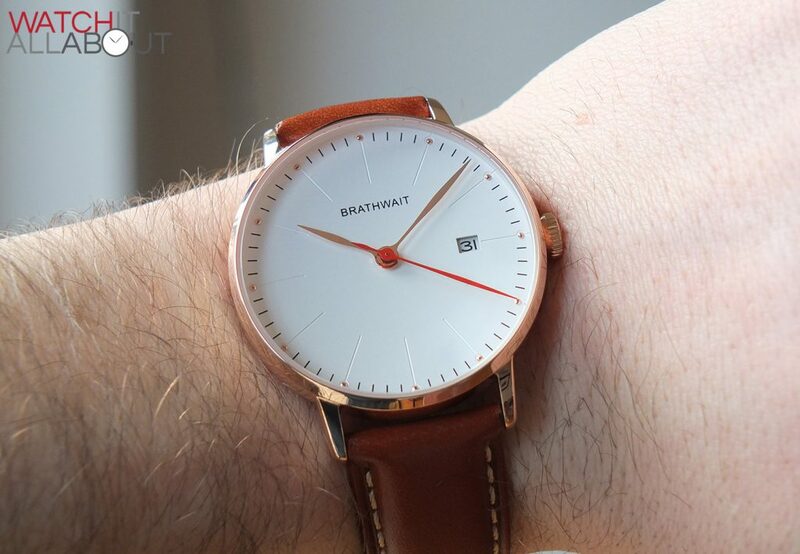 Other alternatives are the Melbourne Watch Co Parkville (£220) and the Brathwait Minimalist (£245). 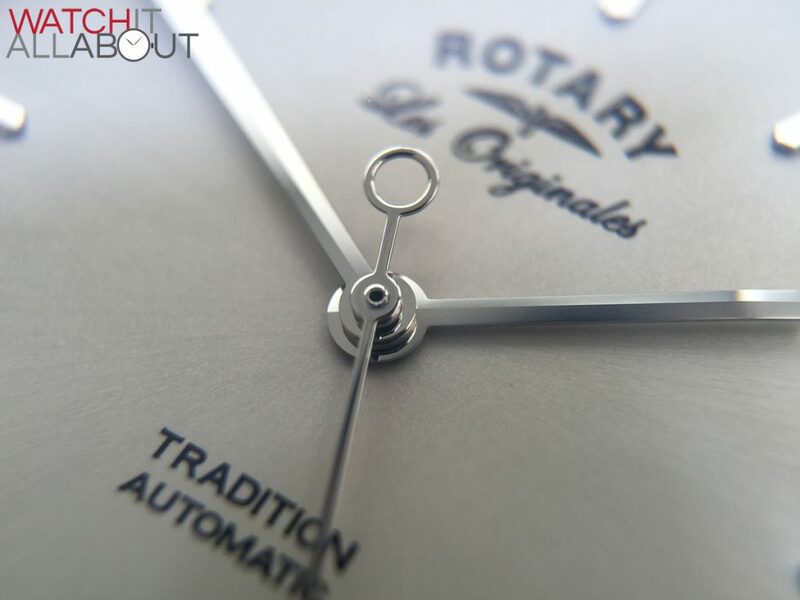 The Rotary Les Originales Tradition certainly is a nice watch – it has a simple, classic design, and is superbly built. 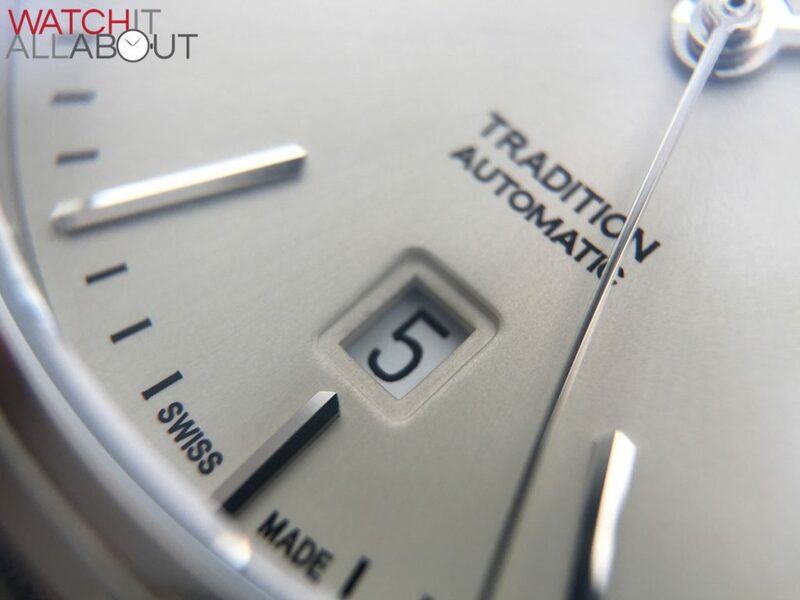 It also has an excellent Swiss automatic movement which is quite a positive surprise. 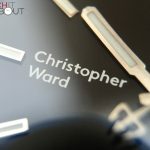 The Christopher Ward C5 is a little cheaper so I’d probably try and get one of these at a price less than the RRP. 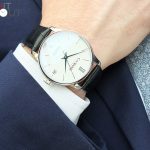 Whatever the case, if you decide on a Tradition, you can be sure that you’re getting a solid and dependable timepiece for your money. 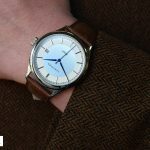 Just thought I’d say I like your site and think your reviews well thought out. 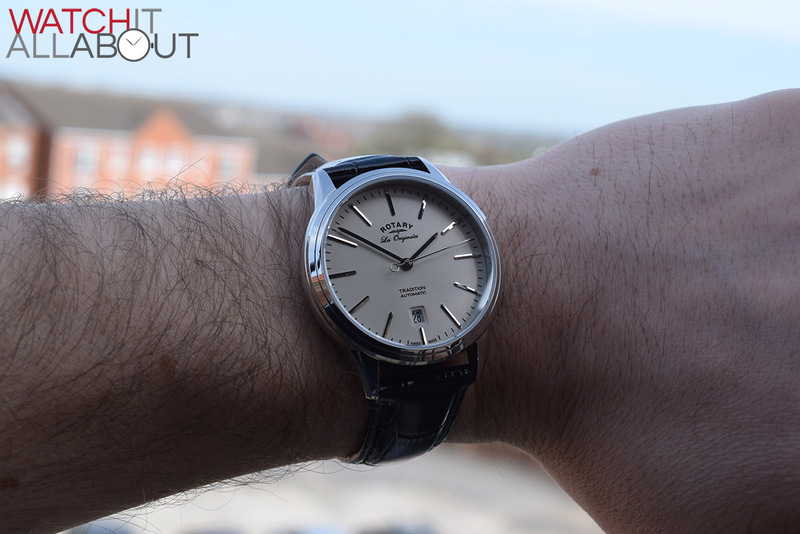 My personal guide is, a) no battery and preferably auto or hand wind, and, b) swiss or japan movement. 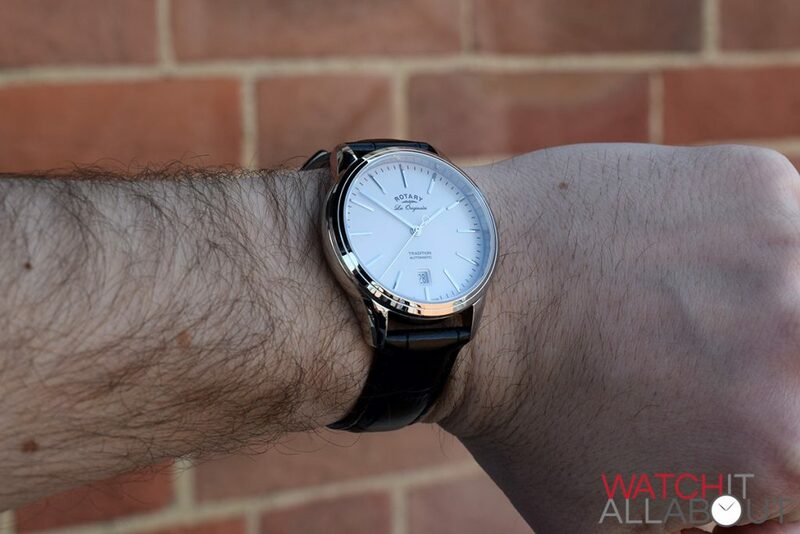 (Oh, and reasonbly modestly priced, no rolex’s). The reason I’m banging on, is because I thoroughly enjoy reading reading your reviews; so one of these days you’re going to get me to try something different. For example, I’ve never even looked at Rotery’s before, but that les originals Tradition is lovely. 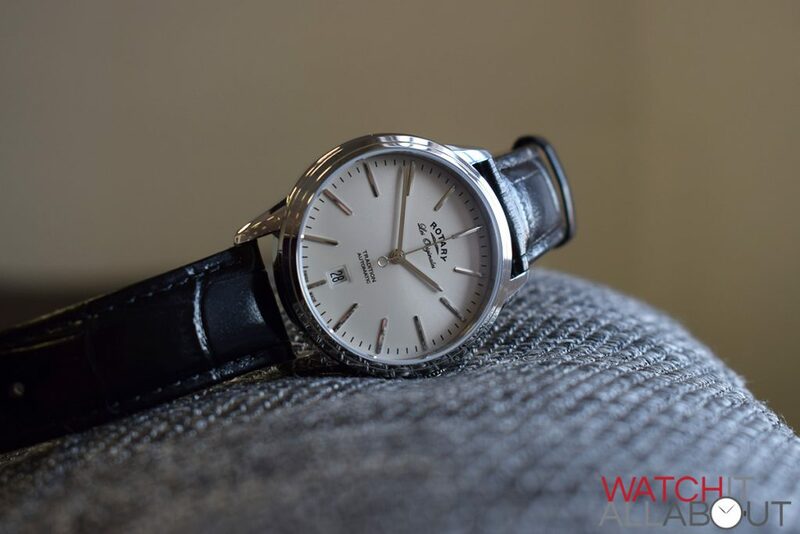 Or that Rider the other day, I’ve never bought a Chinese movement or germasion watch, but as you point out the quality and price point is very attractive. I’m seriously thinking of getting the no-date version, it does look very good. So as I said, great site. 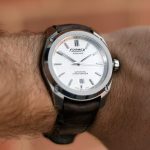 I’d be interested if you did an article on what your own personal favorites are, and what you look for in a watch, what you don’t like and how your tastes have changed and developed.